Malaysia has a similar but less well known ‘Blue Mosque’ as compared to the Blue Mosque at Istanbul. 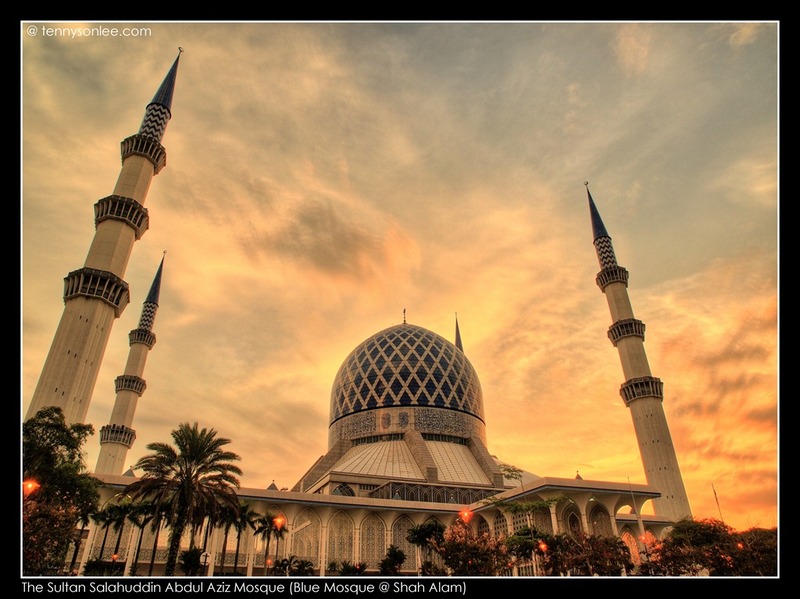 The full name of this largest mosque in the state of Selangor (Malaysia) is The Sultan Salahuddin Abdul Aziz Mosque. The sunset today was not the best but at least has a bit of orange. Both pictures were taken with HDR processing. Hope to bring you the night scene or better sunset in the future. I am new to HDR so I did not do much tweaking using Zoner Photo Studio. This entry was posted on February 12, 2012 by Tennyson. 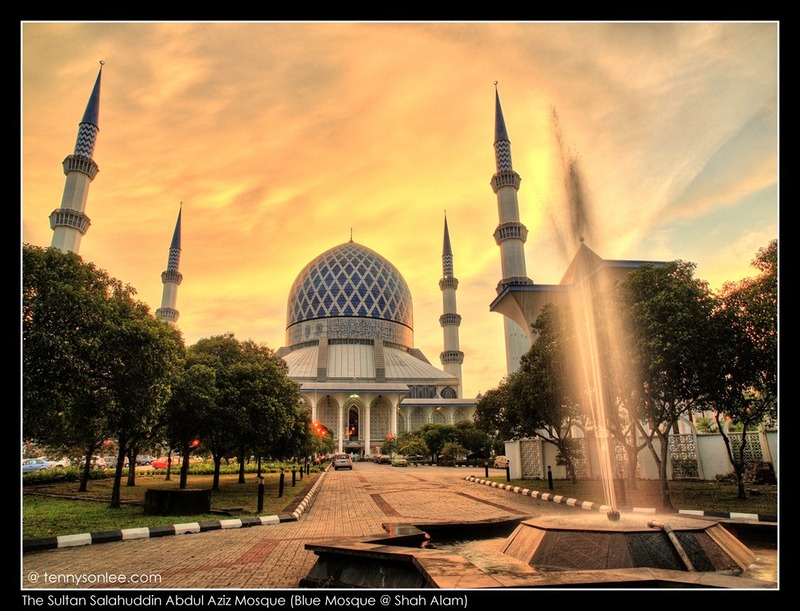 It was filed under Malaysia, Places, Selangor and was tagged with Blue Mosque, HDR, Shah Alam, The Sultan Salahuddin Abdul Aziz Mosque. i’m new to HDR too…I’m using Photomatix Pro to do merge the photo..
Hah hah, no money to buy the more expansive Phtomatix. It was the most popular HDR software. Have fun shooting.